For a Business, digital transformation is about enabling itself by adopting various disruptive, relevant technologies to leapfrog in terms of capabilities and grab the opportunity to be one of the industry’s best. The opportunity is much more salient for an SMB to help it scale up and compete. While digital transformation may vary from company to company, there are some pivots around which the transformation hinges which are popularly referred to as 3rd platform technologies (cloud, big data/analytics, social, and mobile). According to Ralph Hauter, President of Microsoft Asia, data, cloud and analytics are the three pillars which are driving the transformation wave. He refers to the impact as an unstoppable force enabling digital disruption, which will impact all organizations, all industries, all roles. Digital transformation revolves around the adoption of IT transformation, by adopting tools of the 3rd platform. The Businesses that are laggards in adopting these new tools run the risk of falling behind peers. A recent study conducted by Enterprise Strategy Group (ESG ) and commissioned by Dell EMC shows 95% of survey respondents indicate their organisations are at risk of falling behind a smaller group of industry peers that are transforming their IT infrastructures, processes and delivery methods to accelerate their goals of becoming digital businesses. Siloed infrastructures and rigid legacy architectures are seen as being barriers to undertaking a successful digital transformation. Embedding capabilities in the organization to leverage IT resources in accelerating product innovation and time to market needs to be part of the transformation objectives. IT transformation is indeed a key pillar in the transformation initiatives, towards helping streamline Business processes and enhance customer interactions and experience. For mid-market companies grappling with the need to transform towards the new ways of doing Business, there is a need for having a scalable infrastructure in place and the cloud is the easiest way to go about having this. Along with cloud technologies that have radically transformed the way IT is purchased and consumed, one of the other transformational drivers is the rapid increase in the number of connected devices. This is expected to continue expanding data volumes that is generated. Cisco forecasts that connected devices will grow to 50 billion by 2020. From buildings to buses, energy grids to wild life, everything is being connected and what that means is the massive, unprecedented rise in the number of sources of data intelligence that can impact Business operations and customer experience. “Almost everywhere, opportunity awaits – not just in tech-friendly vertical sectors such as energy and retail but in arts and entertainment, manufacturing, agriculture waste management, financial services, real estate, and education to name some. The Internet of Things (IoT) is introducing a new era of technology which will transform nearly every industry including the SMB segment to change the way we live and work,” opines Shadi. IoT is a game changer as it takes networking technology to places where it was once unavailable or impractical and allows Businesses to extract intelligence for operational benefits from different sources of data. However, the challenge for companies is to build the right infrastructure, says Shadi and adds that small businesses face changing requirements of scale and data management, and need standards-based infrastructure that is highly secure and interoperable. SMB entities are ramping up capabilities to compete and collaborate. UC technologies play a key part as well in these efforts. 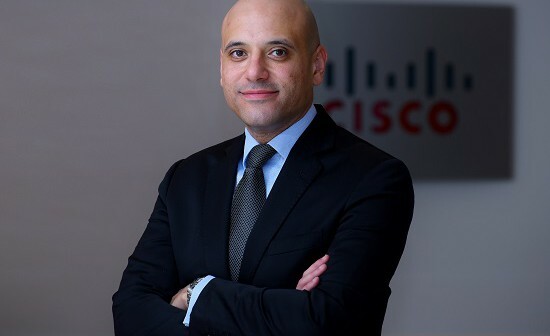 According to Khalid, in the communications and collaboration space, they are witnessing strong interest in hybrid deployments – with companies looking to maintain their legacy investment while looking at moving new applications such as voice, video, and contact center, into the cloud. “With Avaya IP Office, we offer a solution that can fit the needs of 98 percent of all businesses out there, and we can offer it in on-premises, hybrid cloud, or pure cloud models. That means businesses can move to the cloud at their own pace and path, adding new features and capabilities to the cloud as they become needed, or while leveraging their existing investments,” he adds. With possibly covering the largest number of Businesses in the country, the SME segment is often seen as the key segment contributing to economic growth and employment. The need to boost the competitiveness of the Businesses in this segment is therefore an urgent concern, which the path towards a digitalization of their businesses can greatly address. Accompanying this growth and evolution are issues that were previously considered only in larger enterprise organizations. Security challenges, customer experiences etc are factors coming to the fore that need to be addressed. According to Shadi, IoT is offering a whole new level of opportunity in technology leadership for SMB sector companies. IT is in the spotlight to enable actionable information, build new connections and open new revenue streams for SMB organizations throughout the Middle East region. 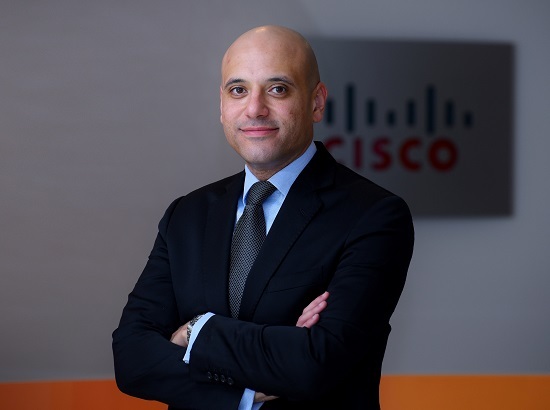 As SMB’s continue to invest in technology today and in the future, the implications, he says will be transformational and he elaborates on how Cisco is enabling SMBs on this journey. The opportunity is quite ripe for Businesses to move rapidly towards adopting new ways of doing Business. And partners who themselves need to accomplish digital transformation milestones in their Businesses would have a larger role in enabling the large number of diversified SMB/SME companies travel on this journey towards digital transformation. In sum, the need of the hour for SMB companies is to identify objectives and target milestones in achieving a digital transformation in the ways they transact Business or face the threat of being left out of the reckoning to be among their industry’s best.